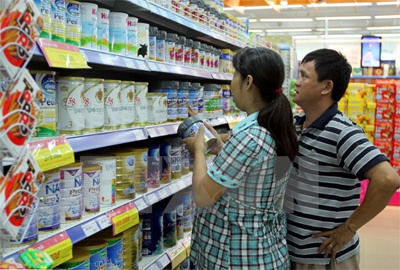 Dairy giant Vinamilk tops the list of 50 most valuable brands listed on Vietnamese stock markets, which was released by UK-based Brand Finance at the recent Vietnam Brand Matters Forum. Vinamilk is worth more than 1.1 billion USD in value, nearly double that of the runner up Viettel. The aggregate value of those 50 brands is about 5.5 billion USD, slightly higher than DBS – the most valuable bank brand in the ASEAN, which was worth 4.4 billion USD. This is the first time, Vietnamese brands were considered for the list by Brand Finance – the UK based Brand Evaluation company, which is thanks to the strategic cooperation between Brand Finance and Mibrand, the leading local Brand Management Consultant company. According to Lai Tien Manh, Managing Director of Mibrand Vietnam, the list of the top 50 Vietnamese brands on Vietnam's Stock Market brought a completely new point of view on how a brand should bring value to a company. Brand value can be clearly valued with a specific amount of real money. It helps raise awareness and improve brand management capability among Vietnamese managers and marketers. The expert also said that, in this early stage of Vietnam entering TPP, brands will be a key for companies to open TPP markets once tariffs are lowered. Therefore, brand management deserves to have more attention from local businesses in the future. Besides Vinamilk and Viettel, the list also includes FPT, Vietcombank and Bao Viet insurer. The FPT giant software group was ranked sixth with a value of 239 million USD and a brand rating of AA plus, according to Brand Finance. 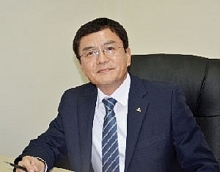 FPT's total asset value stood at more than 1 billion USD in 2014. Meanwhile, Bao Viet ranked 17th with a brand value of 79 million USD and a brand rating of A plus. The world's leading brand valuation consultancy firm conducts valuations based on a number of criteria, including the ability to generate added value and profit, the brand's influence on clients' selection of products and services and market cap./.